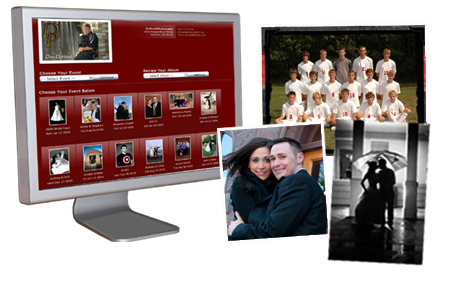 LabPrints provides hosting services for events and portraits, as well as for Album designs. NEW! LabPrints has enhanced the way you process online orders. Storefront Order Automation now allows you to have online orders go straight to your preferred lab, or be "paused" in a central hub. Easier and faster...just another reason to sell online with LabPrints! Extremely competitive pricing plans. For every studio size and type. 1) "I don't want to handle credit card processing." We have two Partnership Plans for those who want us to handle credit card processing. 2) "I can process my own credit cards, or want to just accept checks." For those who want to process their own orders we have flexible monthly plans or a Per Image plan which is great for those with low volume of events. Create beautiful albums with your LabPrints software and then post your finished album online. Your clients can now proof their albums at their leisure, from anywhere in the world. Plus, they can leave you comments on each page! This service is included in our Partnership Plans. Learn MORE.